Adam Haritan is a wild food enthusiast, researcher, and forager currently residing in Western Pennsylvania. He leads several classes and workshops within a variety of habitats related to plant and mushroom identification, wild food harvesting, nutritional and medicinal benefits of wild foods, the benefits of nature connection, and more. His YouTube channel (YouTube.com/LearnYourLand) features dozens of videos pertaining to plant and mushroom identification, and his website (LearnYourLand.com) serves as a unique online community and database of naturalists and nature events. An avid proponent of wild fungi, Adam currently serves as the vice president of the Western Pennsylvania Mushroom Club. Author of The Forager's Harvest (2006), Nature's Garden (2010), and Incredible Wild Edibles (2017). Sam is one of the leading experts in the US about wild edible plants and continues to set the mark as a foraging authority. He has been an instructor for us every year since the festival started. Ellen Zachos is the author of seven books including The Wildcrafted Cocktail and Backyard Foraging: 65 Familiar Plants You Didn’t Know You Could Eat. 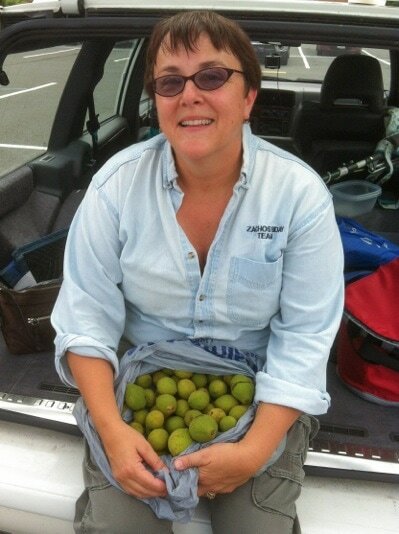 She wrote the foraging website for About.com, and shares seasonal wild recipes at www.backyardforager.com. Ellen is a regular contributor to several of the Edible magazines, and a Senior Advisor at Garden Compass, a plant identification app. She also works with RemyUSA, teaching foraging mixology workshops across the US. A former Broadway performer (cast of Les Miz), Ellen is a Harvard graduate and earned multiple certificates in horticulture and ethnobotany at the New York Botanic Garden. She taught at the NYBG for many years, and also worked there as Coordinator of the Gardening Department in Continuing Ed, before moving to Santa Fe, NM in the summer of 2014. Foraging is tougher in the desert southwest than it was in the northeast, but it's fun exploring new territory and getting to know new edible plants and mushrooms. Nicholas WazeeGale began his career as a nature enthusiast as “the bug kid” and while still loving insects moved into fascination with all aspects of the Natural Realm. Time spent as a young adult in wilderness skills programs and experiences brought him into more personal and meaningful relationship with this world, particularly with the plants that provided him food and medicine. Foraging has been an integral part of his life since then, nourishing not only his physical self and family, but his connection with the Earth and his need to share the natural world with the human world. He has run outdoor programming in foraging and other wilderness skills for over 10 years at the Kickapoo Valley Reserve, Driftless Folk School, and independently. He lives with his wife and family in the wooded Kickapoo Valley of Wisconsin and spends his days as a craftsperson, hunting, gathering (and processing) wild food, running outdoor programs for children and adults, and enjoying all aspects of country life. 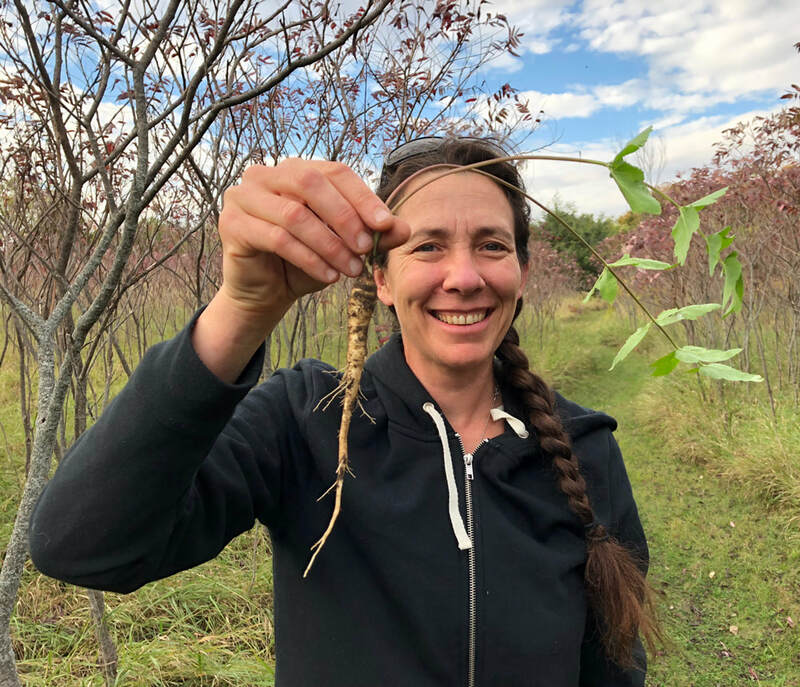 Erica Marciniec Davis, aka Wild Food Girl, is an experienced forager and teacher of wild food plants in the diverse elevation zones of the Rocky Mountain region. Recently married, she loves to experiment on her husband with wild food cookery, and shares her research and stories about wild food adventures at her blog, www.wildfoodgirl.com. Previously, she published a well-loved monthly magazine of edible plant accounts, short stories, and recipes called Wild Edible Notebook. Erica teaches a course on edible, medicinal, and toolcraft plants at Colorado Mountain College, and conducts plant walks and foraging expeditions around the state. She holds a BA in archaeology and an MA in education, and also works as a freelance writer and snowboard coach.